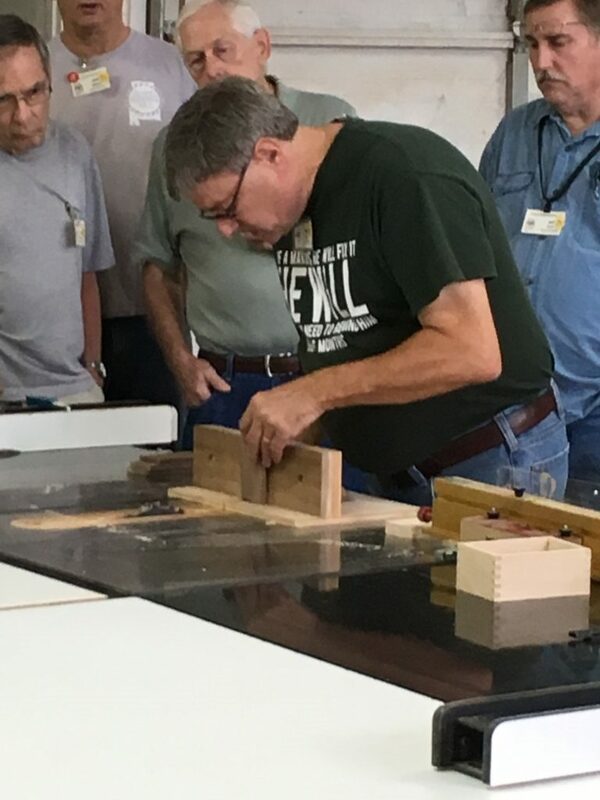 September 17th Pre-meeting – Alabama Woodworkers Guild, Inc.
Mentor Mike Key gave us a demonstration on how to use the finger joint jig. This jig was built by Bill Newman and donated to the guild. It is currently set up to cut a 1/4 inch wide finger and slot. Thanks, Mike! Check out this You Tube Video for making a finger joint fixture. Posted in Guild Info, Meetings. ← No idle hands here.